30 October 2015 – Saudi Arabia is in the top five major human rights violators worldwide. One of the most serious violations of human rights in the country concerns the indiscriminate use of the death penalty. Such punishment has become routine in the Saudi judicial system: since the beginning of 2015, 141 people have been executed, of which 72% were for non-violent crimes, in violation of International Human Rights Law. Human rights activists and peaceful dissidents are increasingly silenced, treated as terrorists and tortured by Saudi authorities. A prominent case is the one of Raif Badawi, a Saudi blogger and activist arrested in 2012 and condemned to 1000 lashes and ten years in prison on charges of “setting up a website that undermines general security” and “ridiculing Islamic religious figures”. On January 2015, he received the first 50 lashes before hundreds of spectators in Jeddah. Subsequently, the lashes have been postponed in the face of international condemnation and Mr. Badawi’s poor health. However the Saudi government recently announced that lashings were to resume soon. On 29 October 2015, the European Parliament (EP) awarded the prestigious 2015 Sakharov Prize for Freedom of Thought to Raif Badawi. During the announcement of the winner at the European Parliament, the EP President Martin Schulz urged the King of Saudi Arabia to free Raif Badawi, in order for him to accept the award personally at the Sakharov ceremony in December 2015 in Strasbourg, France. However, the case of Mr. Badawi is not the only worrying case which has attracted the European Union’s attention. On 8 October 2015, the European Parliament approved an Urgency Resolution on the case of Ali Mohammed al-Nimr and Dawoud al-Marhoon, two young Saudi men, condemned to death by beheading for their participation in anti-government demonstrations in 2011, when they were 17 years old. 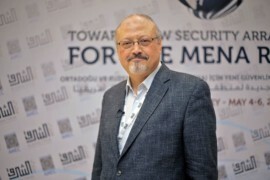 The European Parliament strongly condemned theirs sentences and called on the Saudi government to respect the UN Convention on the Rights of the Child, to which Saudi Arabia is State party, prohibiting the use of the death penalty against juveniles offenders. Further, the Saudi Supreme Court and the Court of Appeals recently upheld the death sentence of Sheikh Nimr al-Nimr, uncle of Ali Mohammed al-Nimr, and long considered as the most vocal Shia cleric and human rights activist in Saudi’s eastern Eastern province, openly criticizing the ruling al-Saud family and leading the peaceful anti-government protests in 2011. The European Centre for Democracy and Human Rights (ECDHR) welcomes the steps taken by the EU Institutions, particularly the European Parliament, in order to put the internationalspotlight on Saudi human rights violations. It is now necessary to build on this progress through a stronger strategy pursued by the EU and its Member States towards the Saudi government. Only by maintaining the pressure of the European and International communities on the Saudi Arabian government, will it be possible to achieve an improvement in the conditions of civil society and to achieve full respect for fundamental freedoms and human rights.